The Meghan Klingenberg Foundation is now accepting applications for 2017-18 Team Sponsorship. Interested applicants can download the application and instructions below. Team must demonstrate need for sponsorship, and provide documentation of non-for-profit status. Our independent panel of professionals will review each application and choose a team by the end of April 2017. Online training videos and “pro tips” from Kling! For additional information please see the instructions and application, or contact Ami.Rivera@meghanklingenberg.com with questions. 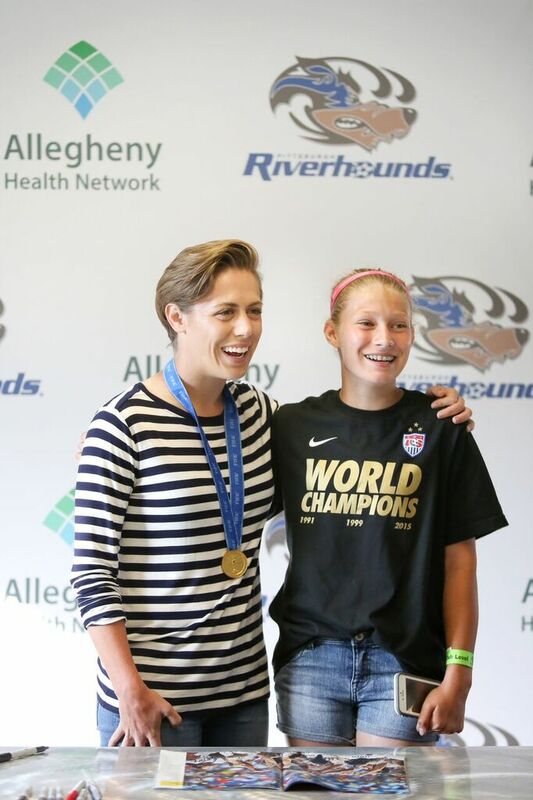 The Meghan Klingenberg Foundation provides mentoring to talented female soccer athletes who wish to pursue their greatest achievable goals in the sport by providing guidance and expertise in all aspects of personal and athletic development. The foundation provides a mentoring opportunity with Meghan with personal skill development, advice and expertise both on and off the field, as well as an opportunity to receive coaching with Meghan herself throughout the year of sponsorship. Each athlete chosen for mentoring will receive invaluable guidance and training from Meghan and her team of experts to help them achieve their personal excellence both on and off the field. Sign up for the newsletter today for up to date information regarding the foundation, how to apply, and ways to contribute! Be the first to find out the latest on all things Meghan! Information on upcoming Meghan Klingenberg Soccer Camps, the MK Foundation, Merchandise, and more sent to your inbox monthly. Subscribe today! Interested applicants can download the application and instructions here. Click here for all the different ways you can contact MK. Sign up for Meghan Klingenbergs mailing list for the latest news and updates.